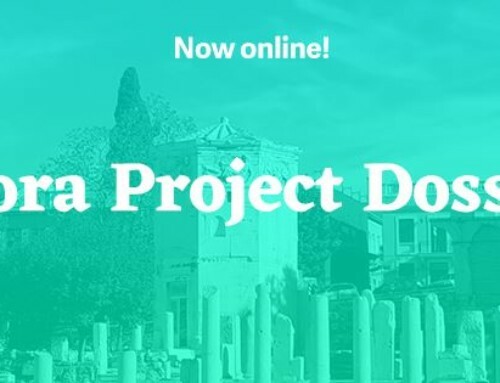 Hate speech can often result in real-world consequences but how do we decide what hate speech is and isn’t? 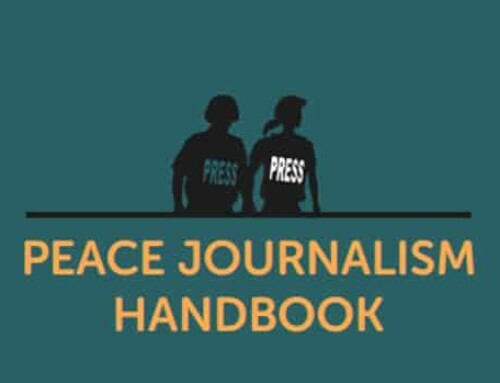 Well, The Ethical Journalism Network (EJN) is here to help clear the air. 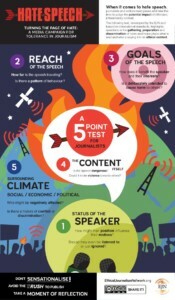 Created as part of their campaign Turning the Page of Hate in 2014, marking the 20th anniversary of the Rwandan genocide, The 5 Point Guide to Hate Speech is a useful infographic designed for journalists to use to be able to better identify speech that “aims to generate intense hatred or incite violence” when reporting as well as to inject more humanity into telling stories. The Position or Status of the Speaker: How might their position influence their motives? Should they even be listened to or just ignored? Reach of the Speech: How far is the speech travelling? Is there pattern of behaviour? 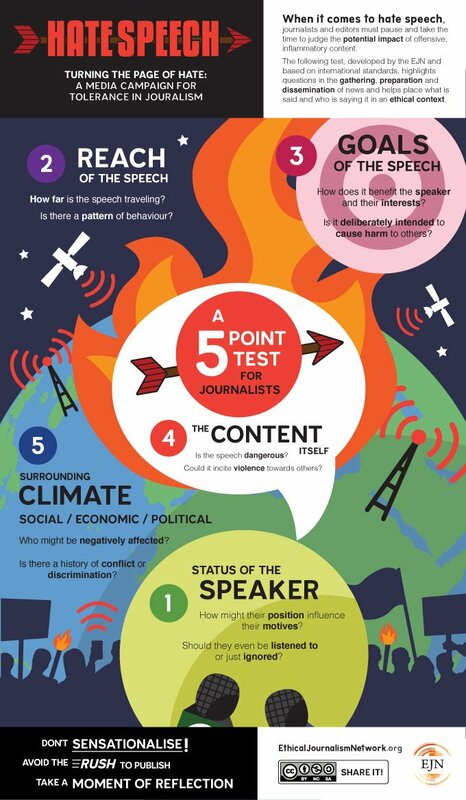 The Objectives of the Speech: How does it benefit the speakerand their interests? Is it deliberately intended to cause harm to others? The Content and Form of the Speech: Is the speech dangerous? Could it incite violence? The Economic, Social and Political Climate: Who might be negatively afffected? Is there a history of conflict or discrimination? You can download the infographic from EJN’s website in English, French and Arabic here or download a more comprehensive overview on pdf here. 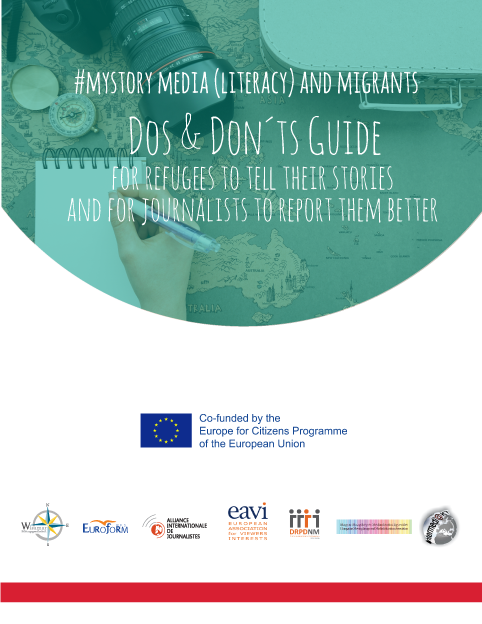 The EJN furthers their advice to journalists dealing with hate speech in their Checklist for Tolerance, another useful resource for anyone to use when creating stories about refugees and migrants or even reporting on incidents of hate speech, see below but the full list is available on the EJN wesbite. 1. When dealing with stories where political hate-speech is used it is vital not to sensationalise. 2. 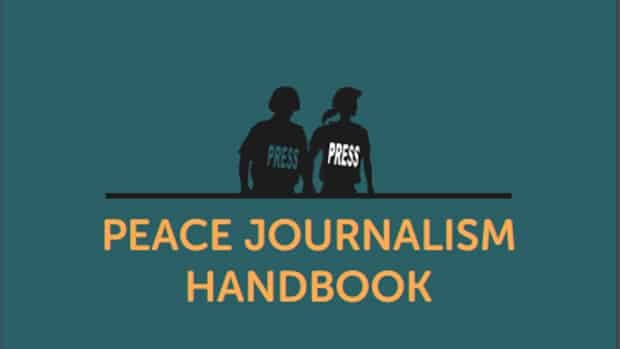 In gathering and editing controversial material, journalists should avoid a rush to publish. It is helpful to pause, even if only for a few moments, to reflect on the contents of the story. 3. One last look and moment of reflection is always useful before pushing the button to publish. 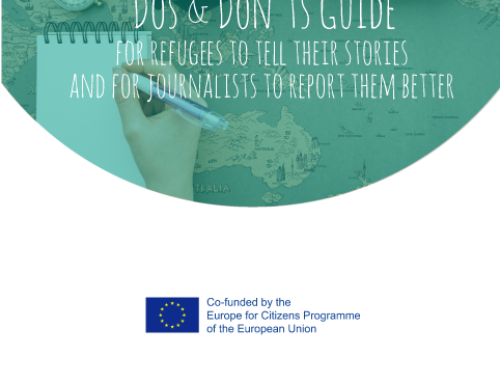 The Dos & Don´ts Guide-For refugees to tell their stories and for journalists to report them better.